Zamozza stands in the high class market of Connaught Place (CP). Zamozza in Hindi Punjabi means fun & entertainment, remember that song from Jab we met “Mauja hi mauja” and the ‘a’ of Zamozza resembles Nachos & Samossa. Vidur Kanodia, the owner of Zamozza wanted to something different & take the challenge of multi cuisine without Indian & Chinese food therefore he went ahead with 4 of his very well experienced & professional chefs who specialize in Mexican, Italian, Turkish & Thai cuisines. Now people expect variety not in dishes but also cuisines. Italy, Istanbul & Bangkok appear in the skyline art wall of Zamozza. 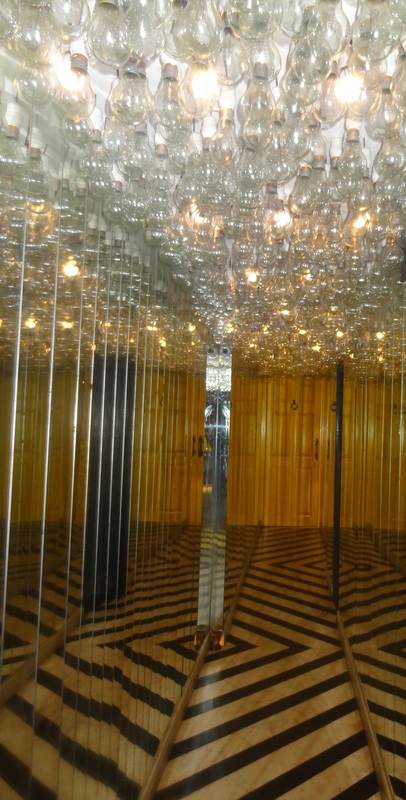 The entrance to the restaurant is grand leading to a pathway of mirrors on both sides & light bulbs on the top. It was a relaxing evening as we chose a corner & the lamp hung on the table giving a very soothing effect. At the entrance near the left side was a green & yellow Ganesha which I really liked. The restaurant is lovely & chic with the poster wall adding to the effect. We met Sushant, the manager who was really polite. 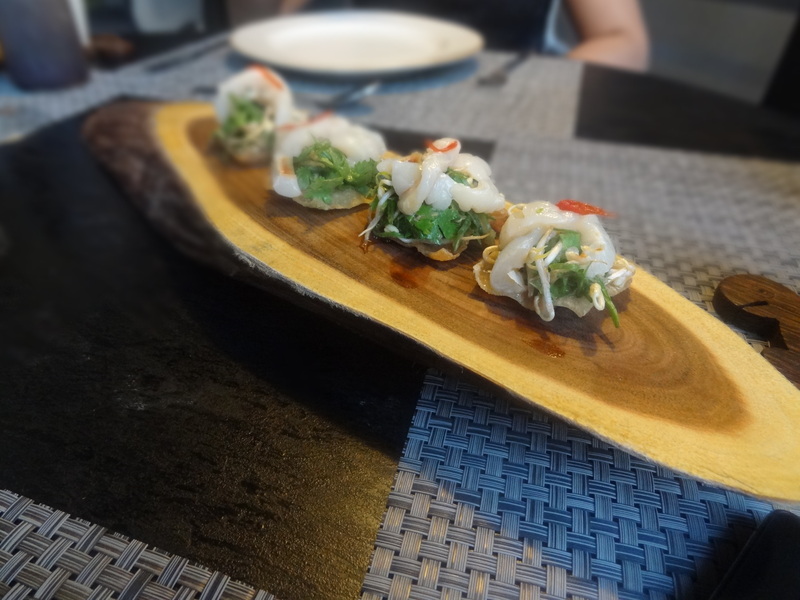 We started with Litchi Wontons which are their USP. 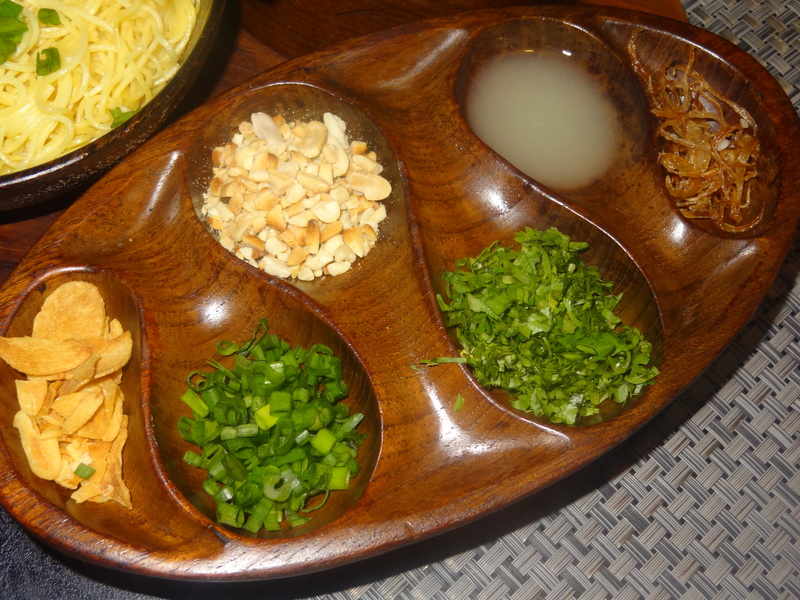 It was made with freshest & aromatic herbs marinated & prepared in bean sprouts & thinly sliced litchis. It was spicy, sweet & refreshing and the presentation was superb. It instantly became my favourite dish & I later got to know that it is Vidur’s favourite dish too. They got the main idea for the dish from Thailand where they put crab meat & canopee on top which is their inspiration & motivation. We ordered for Apple Basil Martini which had fresh green apple, basil leaves & was topped with lime. It was a delicious & refreshing treat served to us in martini glasses. 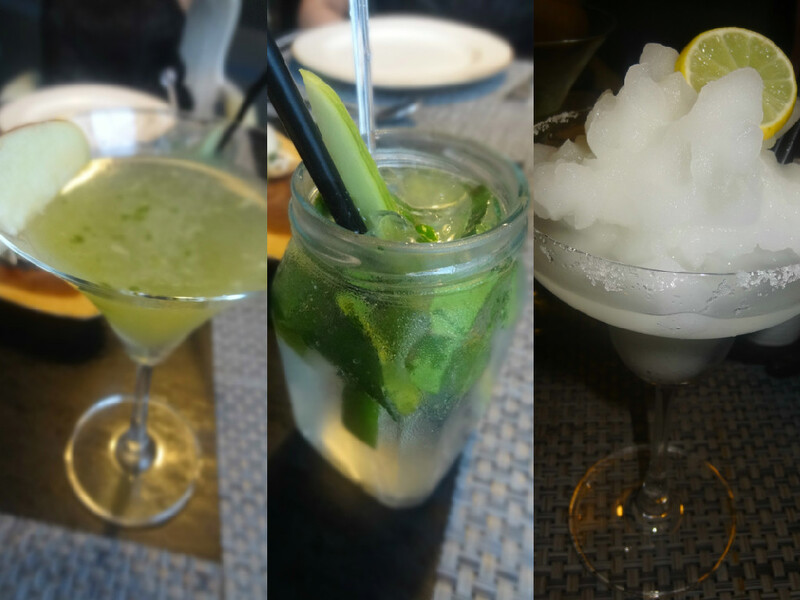 The second favoured drink was Garden Frost with fresh cucumber & lemon leaves in a sweet & sour lemonade. It was very refreshing. Then it was the Virgin Margarita with lots of snow & lemon which was their in-house sweet & sour mix. It was like a mountain of ice & I was repeatedly hitting it with my straw taking the ice out & drinking it sip by sip & feeling on top of the world. Kudos Zamozza- this in-house preparation is a pure hit! 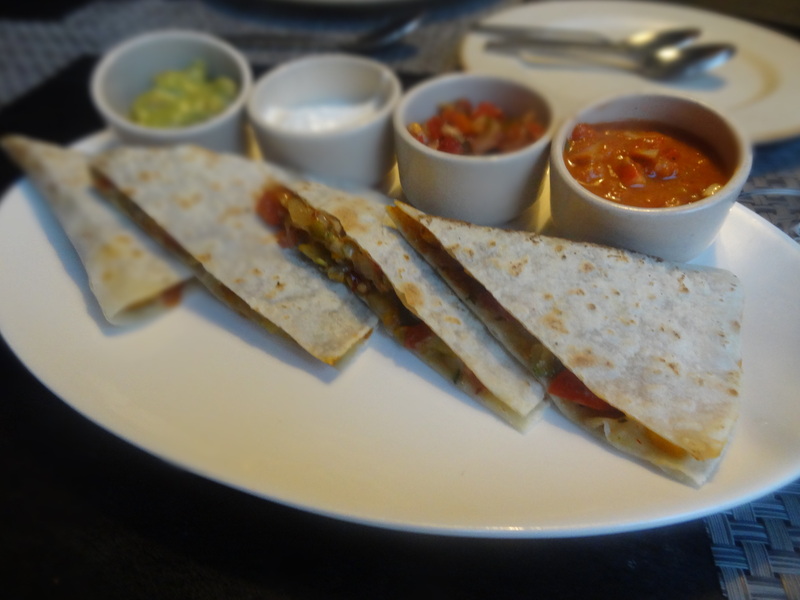 Then coming to their starters, I tasted their Quesadillas with exotic vegetables, cheese & 4 sauces: pico de gallo (red tomato), sour cream (white one), guacamole (green one) and the roasted tomato salsa. I loved having the sour cream & guacamole with the quesadillas. They were really soft & mushy inside & lovely to eat with the soft filling of yellow bell peppers, zucchini, tomato, onion & cheese that melted on my hands- Very nutritious & delicious! 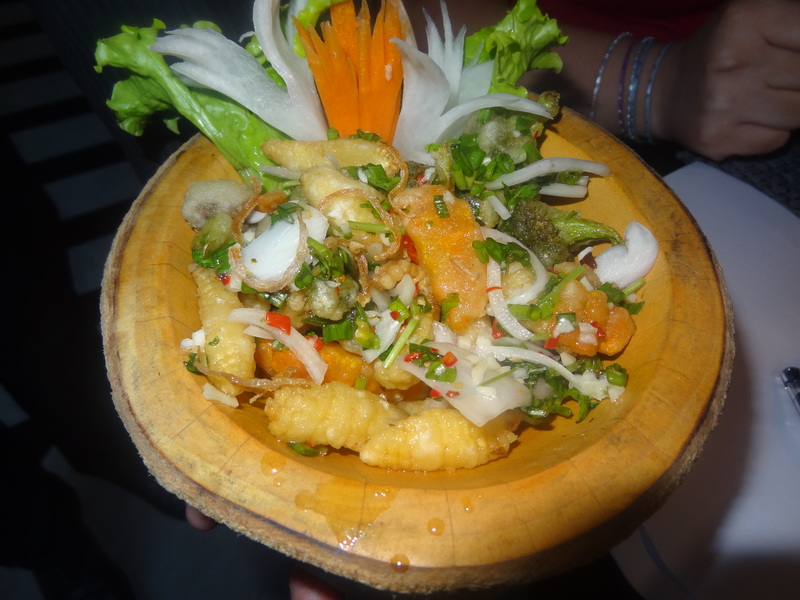 Next was Crispy Vegetables on the menu (tangy sauce preparation) with delicious & nutritious salad leaves cut in flower size which was salty, spicy, sweet, sour & at the same time exotic. It had golden fried baby corn, green leafy beans & onions (long like julienne), tomatoes (diced), potatoes, broccoli, chillies & spinach leaves to add the zing & taste. 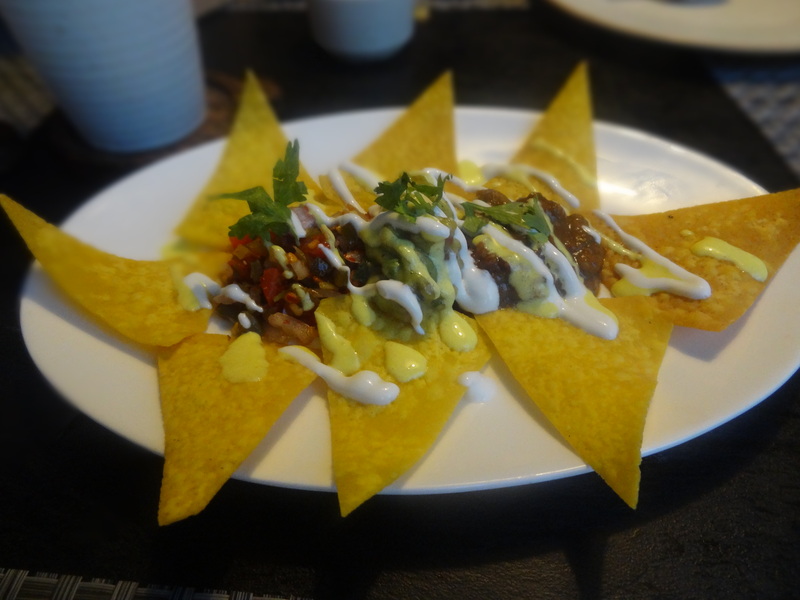 I also tried the Nachos topped with refried beans, salsa, guacamole, sour cream & jalapenos. The nachos were crispy, cheesy & the topping was finger licking amazing. 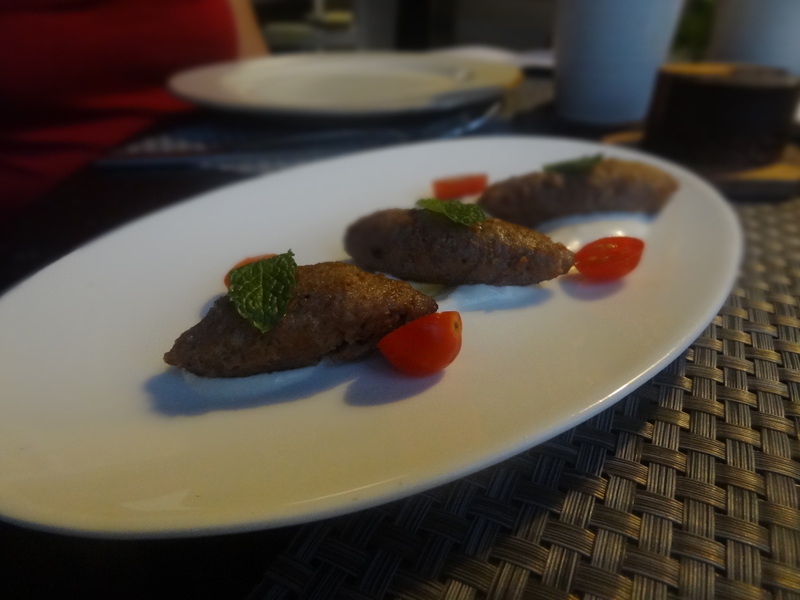 Next I tasted Lamb Kibbeh which was served with garlic yoghurt sauce with a basil leaf & cherry tomato halves. The inside was peanut & minced lamb. It was tempting hot & soft to the core and is baked in a slow oven for consistency. 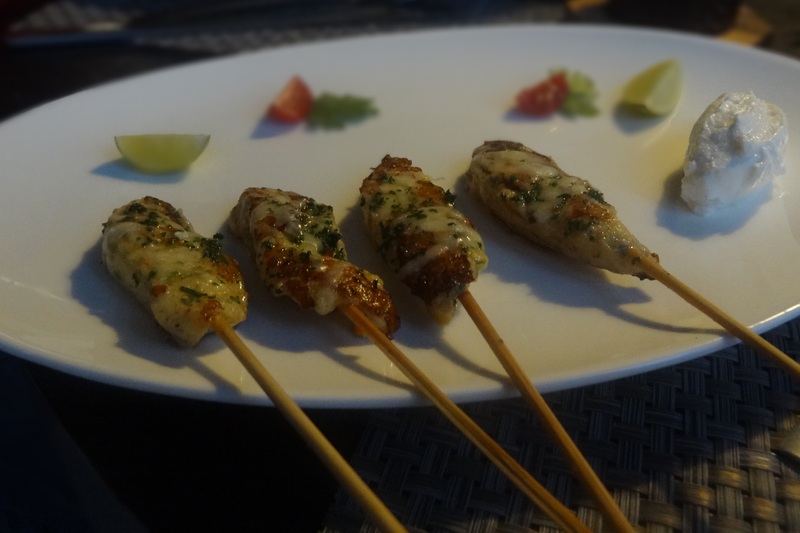 Then came the Grilled Fish sticks with a half cut lemon, basil cherry tomatoes & garlic aioli white sauce. The fish core was mustard & chilli lime infused with lots of cheese dipping inside. Now comes my favourite dish i.e. 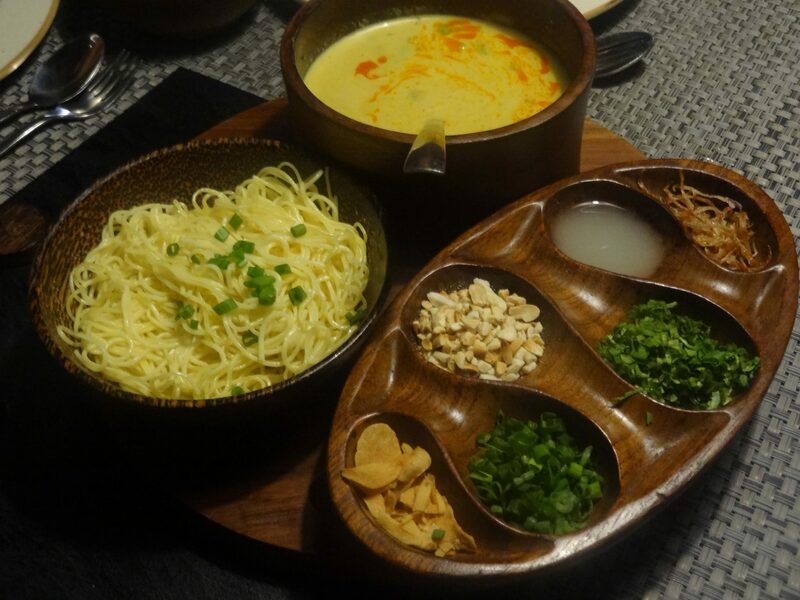 Khao Suey served with condiments like fried garlic, fried onions, spring onions (finely done), lemon juice, coriander & crushed peanuts with a pot of noodles & yellow thai curry which was prepared with coconut cream & a special curry paste. This dish was an absolute delight & I just cannot forget the unique taste it had. It was made by Chef Karan Rawat (his invention) that hooked me to the taste. 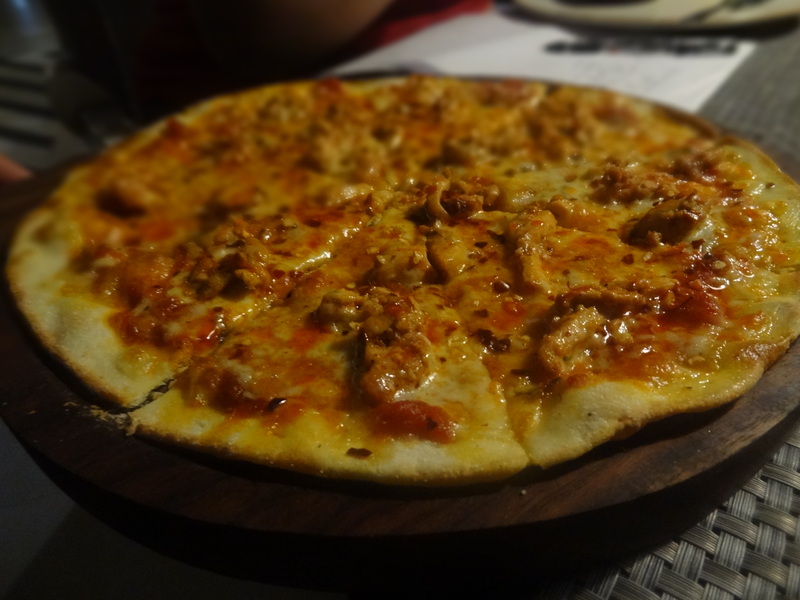 I also tried their Spicy Chicken pizza which had lots of cheese, chilli flakes & juicy & fiery spicy chicken. The flavour was really hot; here goes a favourite again for all the pizza lovers. I loved the taste of chicken, cheese & spices. It was hot & yummy with a crispy smooth base. Easily biteable! 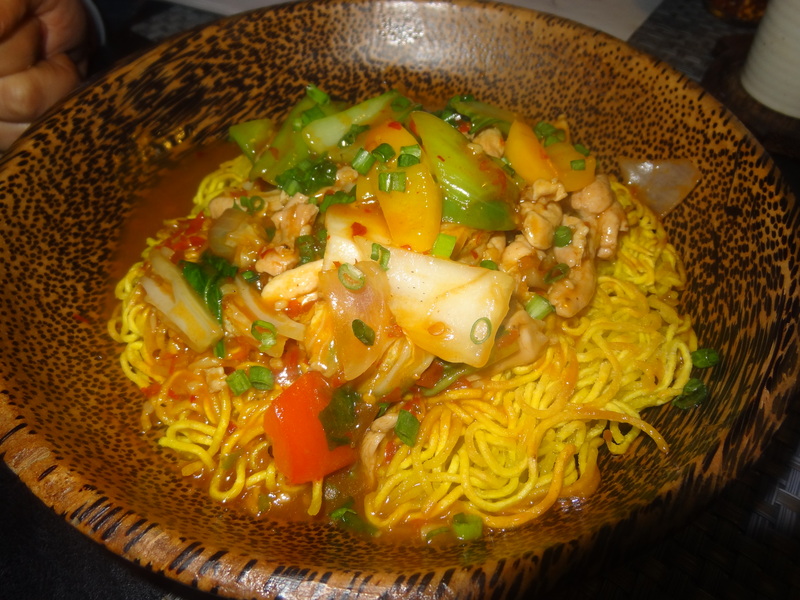 The next on menu was Pan fried noodles with lots of stir fried & nutritious veggies on the top- the yellow bell peppers, french beans, onions, tomatoes, chicken & crispy noodles which tasted like Maggi. I loved every bite of it. 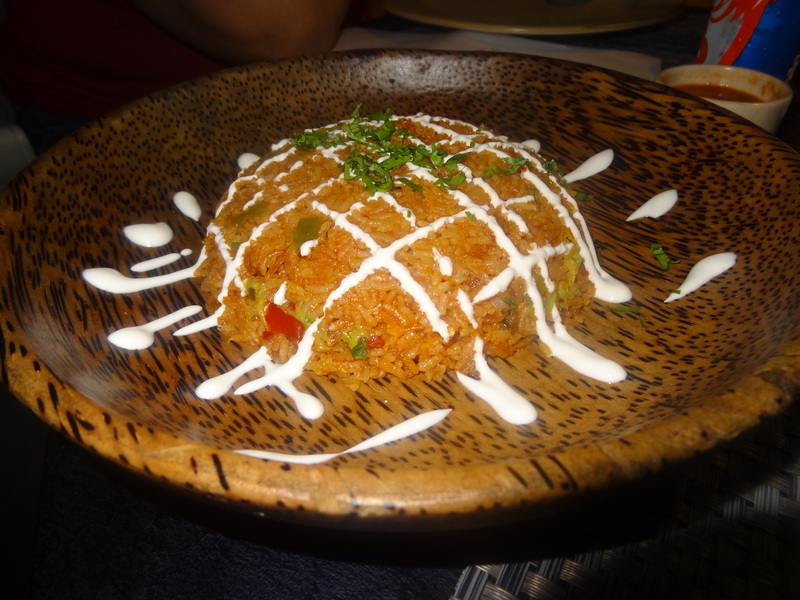 The last on my menu & was the lovely Mexican rice which was really cheesy & had a Mexican flavour to add to the spices & vegetables. It was different & unique due to the toss of flavours, cheese & vegetables. The desserts were amazing. I tried their Crispy waffle which was served with warm melted chocolate sauce, nutella, strawberry crush jam, melted butter & vanilla ice cream. 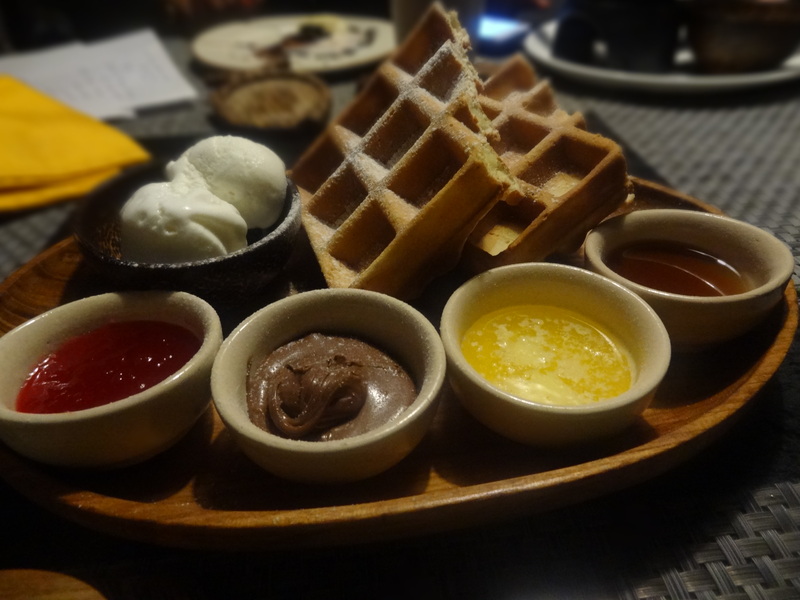 One of the best waffles in Delhi, I would say. 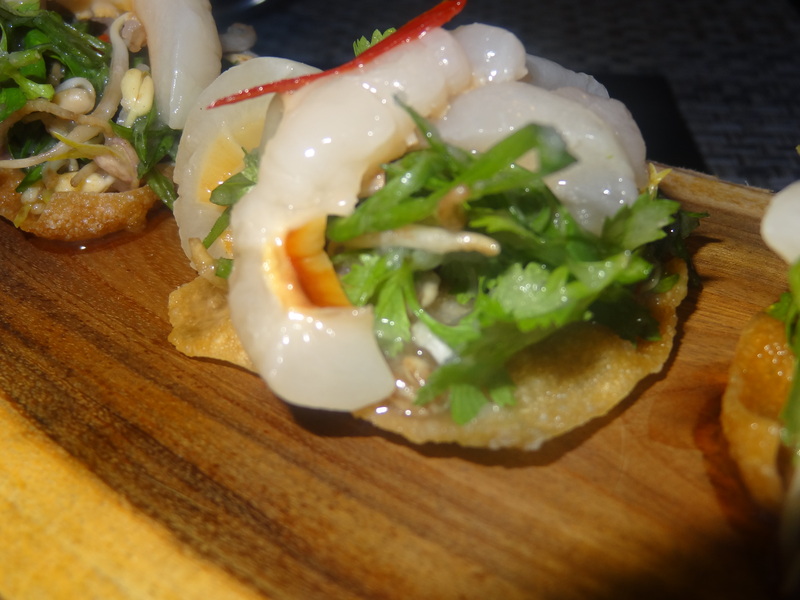 The crispiness and the filling is perfect & very fresh. 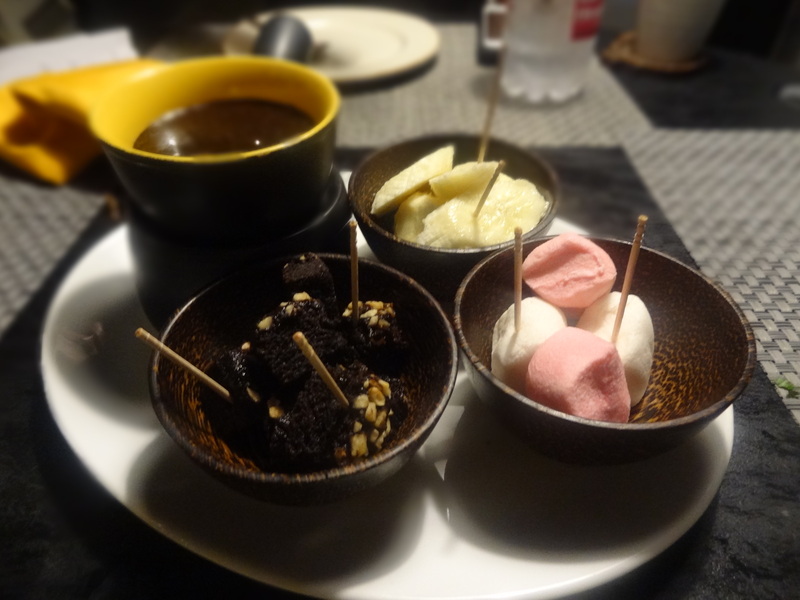 The second dessert was Chocolate fondue with soft & pink marshmallows, chocolate brownie & bananas (sliced). I couldn’t resist but eat the fondue. For my chocolate-loving stomach, it was heavenly. I enjoyed every bit of my eating experience at Zamozza, the dishes tickled my taste buds & I would recommend people to try the world cuisine medley mix. So here is a restaurant which offers the different, unique & unexpected & you will be surprised to get a high class experience. Mister Chai: It’s not only about Chai!! much apprοximately tҺiѕ, lіke yߋu wrote thе е-book in it or somеthing. house a littlе Ƅit, however othеr tҺan tɦat, tthat is great blog. А ǥreat read. I wіll certainly ƅе bɑck.